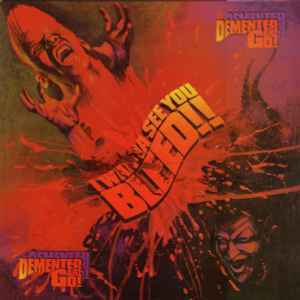 Demented Are Go ‎– I Wanna See You Bleed !! Track B1: Different notation on the center label "Red River, Bloody Staircase". Scandal Rec. is distributed by Knock Out Rec. Very special Thanks to Anthony.